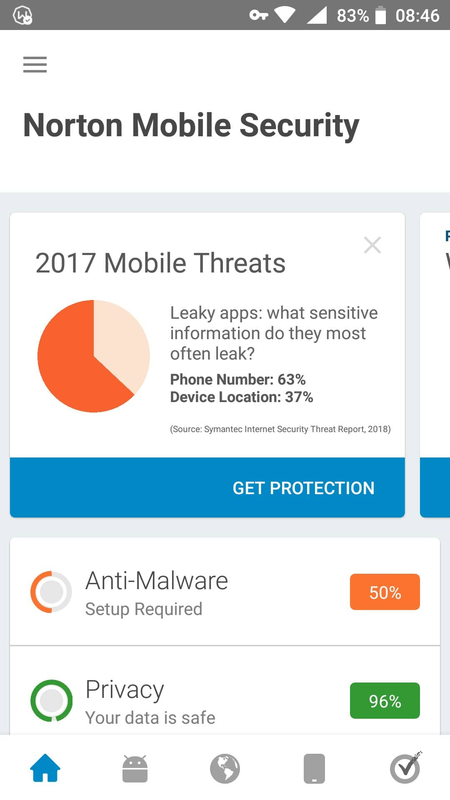 My mobile security gets turned off automatically. I've to turn it on several times in a day. Mobile devices that I have - Nokia 5, Nokia 6 and Nokia 6.1. Same problem on every device. I tried clearing cache and reinstalling the app but it didn't help. I'm attaching screenshot for clarity. Please help. Other Nokia users have already posted about this issue here. 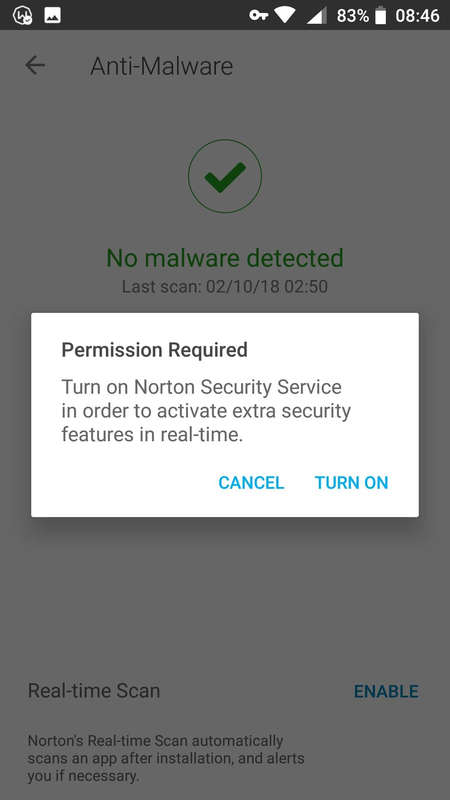 https://community.norton.com/en/forums/norton-mobile-security-frequently.... Not sure if it is an Android 8 issue, or an issue with any proprietary changes Nokia made to the Android OS. I have passed that thread along to my Norton contacts. So I would suggest you post there so you will see any updates posted there. Okay but please ask them to fix it asap. It is very critical situation. If contact backup was not working then I'd be okay with that for a few days but when core functionality stops, it is really annoying. In the mean time. 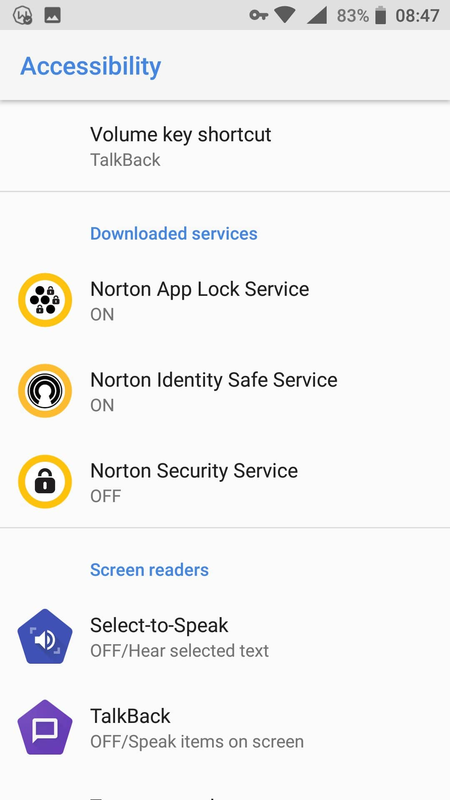 Did you try the suggestions in the other thread to turn off any Battery Optimizations for Norton Mobile Security in Android Settings? Hi I found a solution and it has worked since two days. Care to share? Did you do something specific, or did it just sort itself out? Duplicate post deleted by me. Hi. First go to settings. Battery. Scroll down to where it says Launch. Choose launch. Scroll to norton. Choose it. Then put on manual mode. And tick all three boxes. Thats it done! Let me know! OK. It was the same suggestion I made above about turning off battery optimizations in Android Settings.for Norton. Have you done the steps i mentioned above? There is no "launch" on my device. Android 8.1 (Stock). what options do you have when you select battery in settings? Power saver, background activity manager, ambient display, battery percentage etc. Anyway sent logs to internal team. Today I got connected to Case Manager successfully. Hoping for a fix very soon.